with Nakajima Megumi, Endou Aya (Sheryl) and Kawamori Shouji. IMHO, this is one of the more interesting commentaries, because Kawamori explains some of the thinking that went into the creation of the character of Alto. There is another interview, released shortly after the end of the series, that goes into it a bit further, and which I hope to get to eventually. In any case however, I’ll let other fans make of it what they will, as they always have done. Note 1: This summary-translation is completely my own work. Please DO NOT reproduce it anywhere else, though you are quite welcome to link to it if you wish. Nakajima & Endou: begins here! Endou: Who played the director? Nakajima: Who played the director. Nakajima: It’s crazy, isn’t it, how many different roles there are. Kawamori: There certainly are, huh? Endou: Why did you think of doing this (the Macross Zero story) again in Frontier? Kawamori: There was always going to be a movie within a show in Frontier, the only question was what it would be. And our producer said that it’d be nice to be able to use something that we already had the background materials for. Kawamori: You could say that…but once we’d done it, it fit perfectly. Endou: Like how Sara and Ranka were sort of synchronized; so when we watched it, it caused a bit of a ruckus. Endou: you mean those scenes? Nakajima: yeah, that I would do the same scenes. Nakajima: It completely caught me off guard. Kawamori: It was a really strange feeling for me too, to be redoing what I’d done in the previous work that had been made just 10 years before. It felt a bit like we’d really crossed time and space. Though it was completely by chance that the Zero BD came out during Frontier’s run. We hadn’t planned it at all – it was a complete coincidence. Endou: Really? Are you sure you didn’t? Nakajima: Yeah, we really can’t just let you go on this one. Endou: At the time, I thought that you were really sneaky, because I’d borrowed Zero. For me, I’d seen them in the opposite order – the Frontier one first, and then Zero. But even then, it was really interesting. After watching Zero, I wanted to watch Frontier’s ‘The Bird Human’ again, but once I’d done that, then I wanted to watch Zero again! So I watched it over and over again, I really couldn’t help getting completely into it. Endou: So would you call something like this an adult pastime? Nakajima: There’s a lot of it in Macross – don’t you feel? Like, things that pop up just for a second, that you see out of the corner of your eye, are really important. Endou: So you leave things hanging, right? Kawamori: After all, isn’t it fun when you suddenly spot something on a rewatch years later? Endou: But then again, in the studio, everyone would help point out things like ‘this part was from so-and-so scene in Macross’. I can’t count the number of times I said, ‘Ah, I see’ in reply. Endou: Ah, and we’ve come to this scene. Nakajima: That’s right – Alto used to be an actor, right? It often slips my mind. Endou: No, that’s…don’t say that! Endou: come on tell us! when is he acting?! Kawamori: Well, even Alto himself sometimes doesn’t know when he’s acting and when he’s not, perhaps that’s why he’s afraid of being completely subsumed into the role. Nakajima: You mean, acting as himself (in the role)…? Kawamori: Yes, acting as himself. But it’s that’s also true of people in our world, that we don’t really know ourselves, don’t you think? Endou: Like, characters similar to oneself are the most difficult to do (in some ways). Endou: Are you creating something or not? It’s hard to know. Nakajima: Ah, you’re right. I feel like I’ve learnt something really important. Endou: Alto’s given you something pretty good here, huh? Kawamori: So if you don’t keep something secret, then you can never become the flower. Nakajima: Wow…that’s really deep! Alto really is amazing. Kawamori: I’ve always been someone who thinks that, if you try to think it through, there’s this barrier that you can’t overcome, so when I put forward the idea of having him say something about ‘not thinking with your head’, (someone I can’t catch) brought up Fushikaden. Nakajima: Do you get a lot of your inspiration from the stage, from kabuki and the like? 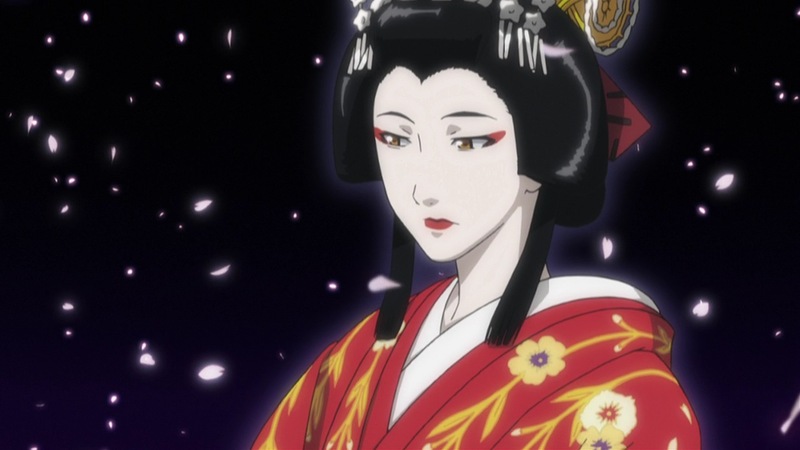 Kawamori: ah…yes, I do like watching plays, and there was this…it wasn’t Noh, but it was an interesting show where someone said “If you think about becoming a crow, then the crow won’t be there”, and it really stayed with me. Something like, when told to act like a crow, everyone tries their best to copy what crows do, but there is no such thing as a crow that tries its best to copy what crows do. Endou: Ah, I see what you mean. Kawamori: Going back to Fushikaden, Zeami wrote about old people, about how there was no such thing as an old person trying to be an old person. The thing is, people trying to play an old person might act as if they’re weak, hobbling and bent over etc, but a real elderly person would actually be trying to act younger – it’s just that they’re not as spritely anymore. Nakajima: Alto…really is a beauty, isn’t he? Kawamori: and Klan got angry at him. Endou & Nakajima: Ehhhhhhhhhh!! I want to see that! Let’s do something with this! Endou: But you can actually do something, right, like, a side story? Nakajima: Ah, you have a point…which role? But, if we think it through…he’s such a beautiful boy/guy… (Endou: he grabbed his hand, you know!) the director went so far as to grab hold of his hand to try and persuade him to do it…so rather than the ‘opposing role’, I wondered if it was more like a role where he’d be deceiving someone. Endou: Ah…I personally thought he’d have wanted him to play Shin..
Nakajima: Shin…but from watching Zero, Shin is cool, but he’s not really ‘beautiful’, he’s more…(Endou: a really passionate person, right?) yeah, a really passionate person, a little bit scary(? )…so not Shin, right? is what I thought. 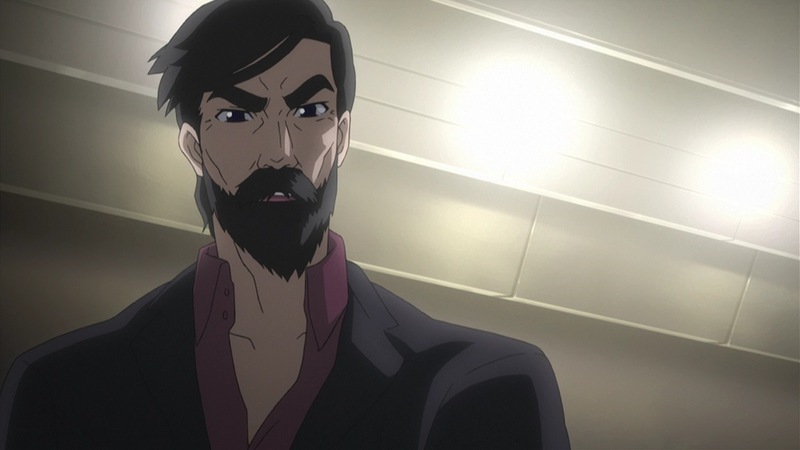 Kawamori: Well…an extremely important role probably. Kawamori: not Shin. And let’s just move on. Endou & Nakajima: Ehhhh!! But now we’re really curious!! Nakajima: Ranka really was just a normal girl, right? (Yeah) So I was wondering if, perhaps, the viewers thought that her rise was perhaps a bit too quick? Endou: She really rose in leaps and bounds, didn’t she? Nakajima: But then, to be frank, I know exactly how she felt. Kawamori: Right? Right? I asked people in Victor [the music production company], whether someone’s life could change in a week after their debut if they became popular enough. They basically said that three days was enough. Nakajima: For example, I’ve been asked whether I felt like the developments came too quickly…but it really was very quick. Like, [metaphorically speaking] basically once Ranka ascended those steps. My circumstances were slightly different, but I really felt like Ranka was feeling. Kawamori: Like, you get really busy all of a sudden, so everything changes all of a sudden. Kawamori: And the changes that happen seem somewhat impossible, right? Kawamori: And we’ve come to this scene. Endou: Alto’s – Nakamura-kun’s “shi..! tteta sa” is super cute! Kawamori: His agitation here was perfect, huh? (Endou: right?) And at the kiss scene too. Endou: Yup yup. Just super cute. Kawamori: To tell the truth, when we were location shooting in Laos, our car/truck really did topple over. There was this huge flood, and the roads had all become rivers, and when we were driving along, it suddenly went over, and we couldn’t get it out. We tried to raise it all together, but no luck. We had to get this farmer with a military truck with a winch to help us retrieve it. Kawamori: The hydra is a native of the planet Eden, which appeared in Macross Plus. On Eden, all the animals have wings – even the cows. Nakajima: They’re cute…but here, it’s kinda frightening, isn’t it? Kawamori: It’s gone rabid after all. Nakajima: and it’s got red eyes. Nakajima: And it was so peaceful just a moment ago. Kawamori: But that’s how the world is – you never know what’s going to happen next. Endou & Nakajima: That’s true. Nakajima: Brera is really cool. Endou: When we saw this back then, I really thought that Ranka and Brera should end up together! Nakajima: Me too! A little, anyway, like, she should just have Brera protect her! Kawamori: Well, reality just isn’t that easy – there’s no way a normal protagonist would be able to do so much. Endou: That’s right, I mean, even at the start, Alto also copped it from Ozma, right? (laughter and agreement) I thought it was pretty amazing. Normally, you’d expect someone to go “Right! You get on this one!” so that was a super unexpected development! Kawamori: He’s an amateur after all, he’d get shot down really quickly, if this were the real world. 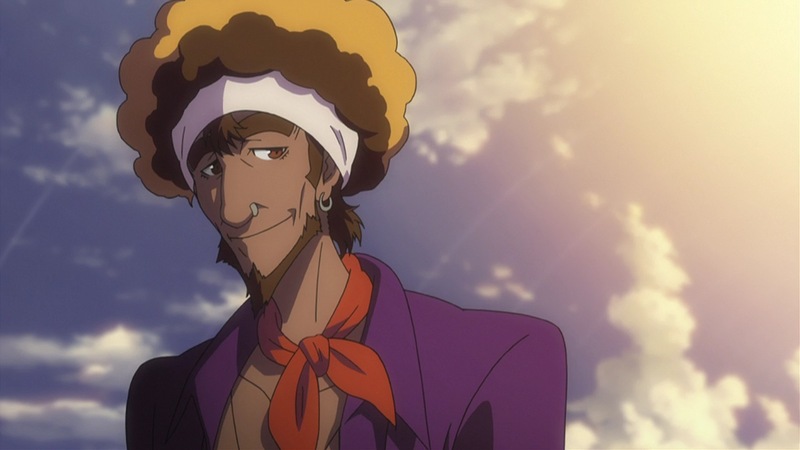 Nakajima: All the guys are really “pretty”…although Ozma is, what would you say, manly. Kawamori: Well, you could say that we’ve come to an era where girls won’t look at them unless they’re like that. Endou: But then we have guys like this too. Nakajima: I quite like this scene. Kawamori: it’s a good scene, isn’t it? Nakajima: it’s like talking to one’s mother, (agreement), he’s like an older woman. Kawamori: And well, once we decided on using Macross Zero, it was like ‘ah, we have to put a kiss in’, and it seemed like this was the best spot. Nakajima: Bobby’s words just after this bit were really like a dagger through my heart. Endou: Well, Bobby really is like a young lady full of love. Kawamori: With a love that wouldn’t be allowed ‘normally’. Endou: a love that will never come to fruition, right? Endou: that’s the most difficult (kind of love) to bear. Nakajima: then this [the kiss] straight after that! Kawamori: (laughs) Ranka really doesn’t like to lose, does she? Endou: More so than Sheryl, you really feel that Ranka is someone who doesn’t like to lose. Kawamori: To be honest, getting Endō to play Sheryl…it was pretty difficult finding someone who could be harsh, but who could also bring out Sheryl’s cuteness in scenes like this one. Endou: Hang on, say that again? Endou: Somehow, I feel like I should go home here. Endou: Then please go ahead and say whatever you want. (laughter) But then, Sheryl really became cuter bit-by-bit, didn’t she? Kawamori: But then, it really is a world where, if you don’t live to the fullest, the rug will be pulled out from under you. It’s a huge challenge. Endou: It really is, the poor thing. [they’re talking about Ranka here] But she’s doing well. Endou: But Ranka really seems like she’s firmly standing on both feet. Kawamori: like, she makes decisions that most people normally wouldn’t be able to make. She’s got this…sensitivity, and notices things that other people wouldn’t. Endou: Well, when you look at the three of them, Alto, Sheryl and Ranka, don’t you feel that Sheryl and Ranka are more manly? Kawamori (laughs): Well, but that’s something one might think of as a good thing, don’t you think? Endou: so Alto’s not really ready to be in love with anyone, right? Nakajima: His words here are rather profound, huh? Kawamori: After this, I’d wanted to have another line added, referring to another person. Kawamori: When should we make that link obvious? I thought that this would be the best spot. Endou: The timing is really important, isn’t it? Kawamori: Yes. If we don’t touch on it at all, then it’s somewhat frustrating [for the viewer, I think? ], but if we reveal it too early, it’s like giving up the secret of a magic trick. I mean, people nowadays are really impatient – they want things as quickly as possible, right? But in reality, it’s not something that they’d learn this quickly. Endou: From this scene onwards, did you lift it right out of Zero? Kawamori: You could probably say it was just about lifted right out of Zero. But it’s slightly different here and there. Nakajima: I was really surprised by it. Kawamori: It really feels kind of weird/mysterious, doesn’t it? Nakajima: I don’t really know why, but Mao really left an impression on me…and then this last scene. Like, I thought it was pretty…how should I say it – surprising? – to be able to see it as something new in Macross Frontier. Kawamori: Well, I also had Kanno create completely new music for it, so even though the scene is the same, it feels a bit different. Endou & Nakajima: Yes, that’s it! Kawamori: but then there’s also a feeling of deja vu – so it’s really weird/mysterious. Nakajima: So, for me, it felt like that wasn’t my voice in the background. Kawamori & Endou: Ahh, I see. Nakajima: I felt like it was Ranka singing Mao’s song. Endou: Ah…and this background, it’s exactly as it was, right? Nakajima: The way the episode segues into the ending really gives me the chills. Kawamori: Many of the staff were pretty much the same, so it really was a rare chance that we took to do this. Endou: I would really love to be able to see something like this, something as interesting as this, again. Kawamori: I’ll do my best. Kawamori: Do you mean we should do something where Frontier itself then becomes a show within a show? Endou: Really? If you do it, then please call on us again, but in different roles. Kawamori: in different roles, huh? Endou: yes, like that! So, we’ve gotten your word on that. Endou: Was it someone’s proposal that you make such an appearance? Did you want to appear? Kawamori: It wasn’t requested – rather, I told them not to – but the staff of Frontier basically drew me into it. Endou & Nakajima: It’s a show of their love for you, not that they’re bullying you, right? Endou & Nakajima; Sheryl is so cool here! Kawamori: as if she’s looking forward to the challenge (of having Ranka as a ‘competitor’) – that’s really cool, isn’t it? Endou: He even took off his sunglasses! Kawamori: Well, I guess they shot (him/me) pretty well. Kawamori: I really liked it how they had Ranka hesitating here, just before ascending those steps. Endou: this is where is all begins, huh? Endou: and we’re simply bursting to talk about it! Nakajima: but you’ll just have to watch it for yourselves. Endou: and then, perhaps, we’ll be able to meet again in another commentary.